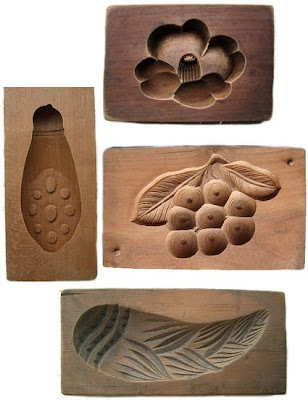 While doing one of my usual searches on Etsy for "Japanese vintage" I came across these amazing cheery wood confectionery molds in Vintage From Japan's shop. 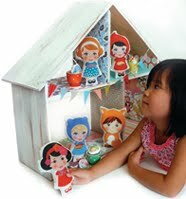 Wouldn't they look fabulous grouped on a wall. 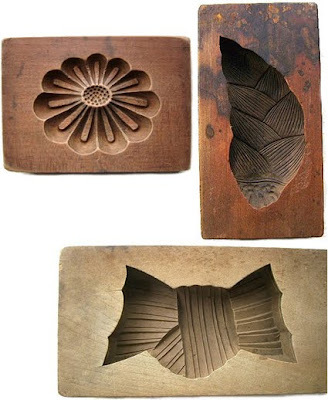 There is more detailed information about these Kashigata sweets molds in Vintage From Japan's listings.